The iconic “Washington Water Power” letters disappear in two and threes, carried carefully from the roof of Avista’s Post Street building to the ground by a crane. 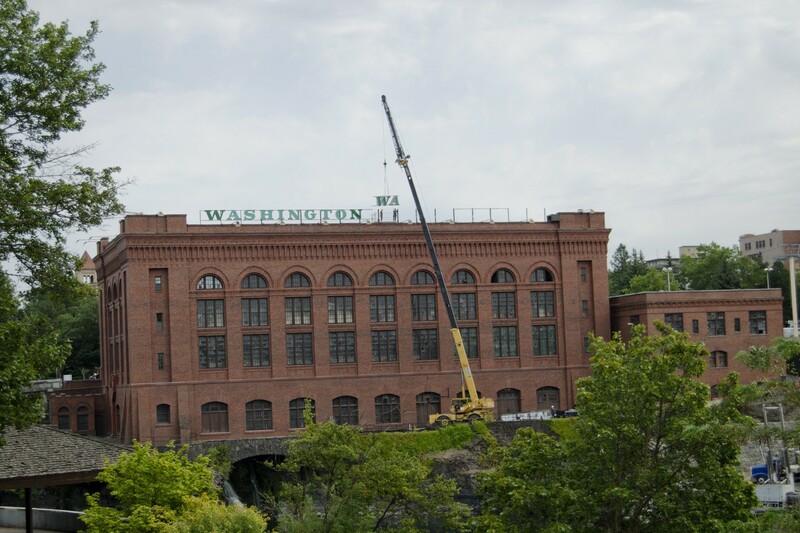 The green letters will be restored and updated with LED lighting before resuming their place in the Spokane skyline. The lettering restoration is just one of Avista’s ongoing projects in the Riverfront Park area — the company started completely reshaping and renovating Huntington Park beside the falls at the beginning of July, and is also working on the Upper Falls Powerhouse and the Theme Stream Bridge on the western edge of the park. “The project is part of an effort to give visitors to the falls improved views of the river and shoreline area,” a press release says. The historic Washington Water Power building on Post Street was designed by well-known Spokane architect Kirtland Cutter and built in 1909. Four iron cupolas graced the roof until World War II, when they were donated for the war effort, according to Avista. 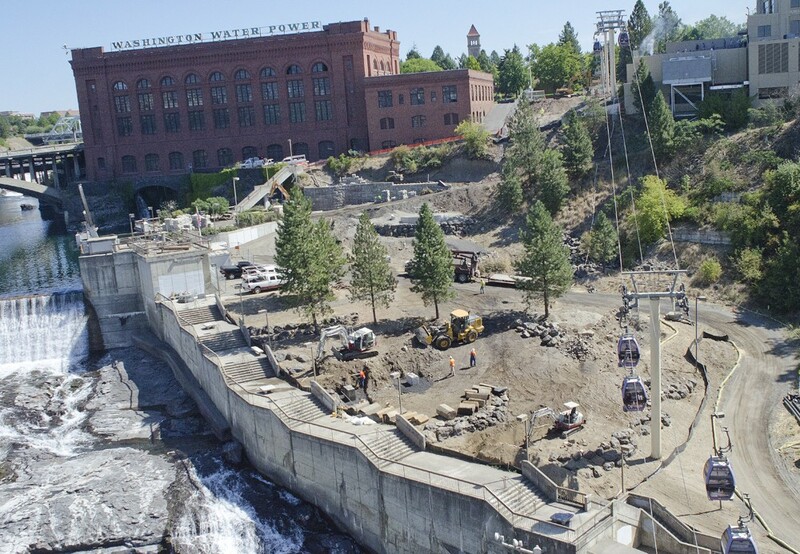 All of these projects are scheduled to be done for Avista’s 125th anniversary in 2014 — the company started as Washington Water Power in 1889 — and the 40th anniversary of the ’74 Expo in Riverfront Park.